This is what we, and Solid Waste, think of as a DRAIN. You wouldn't think so to look at it. To quote Myrna Julien on GBN, 9 June: ‘Our drainage systems are only intended for the smooth flow of waste water.’ We cannot expect Solid Waste to clean out every drain twice a week. Mosquito larvae only need 4 to 5 days in water to move on to the next stage. This is what we think of as a disposal point for garbage. 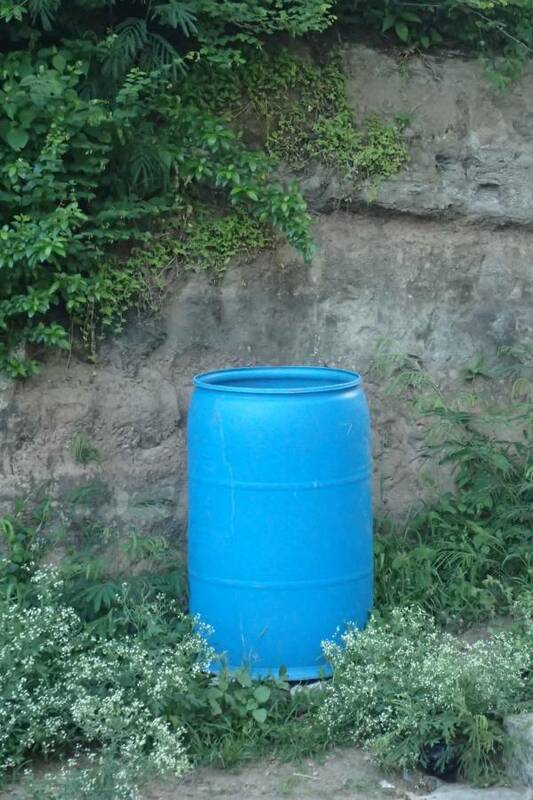 This is also what Solid Waste thinks of as a disposal point for garbage. 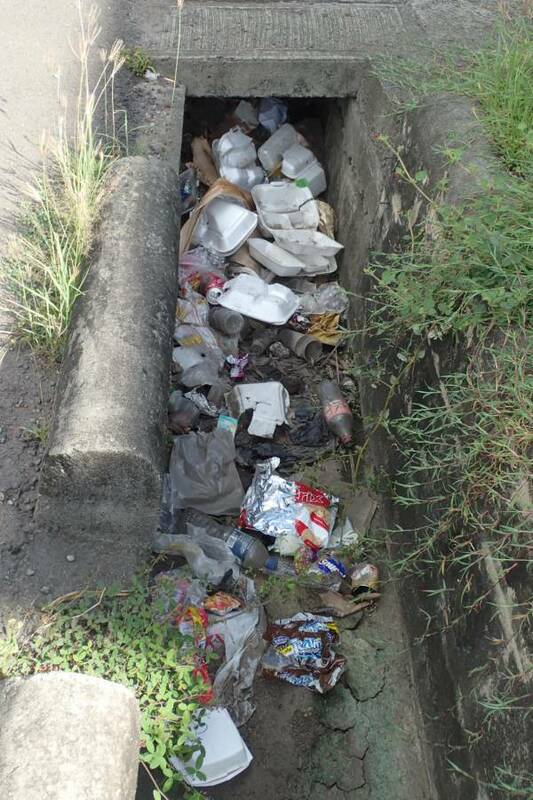 Minister Oliver Joseph has announced on the radio that $300,000 would be spent cleaning drains ‘in addition to de-bushing’ as part of the action against zika. If people had not dropped this litter in the first place, this drain cleaning would not be necessary. And — if the 2015 Anti Litter Act were enforced, each of these items would have brought in $100 in fines, which would have more than paid for the drain clearing. Presumably, it would also deter people from continuing to use the drains as garbage disposal points. Fortunately, Minister Steele announced on 1 June that he would be enforcing the Anti Litter Act within a fortnight. We can’t wait. The litter in this picture could bring zika, rats, flooding, chikungunya. Or it could bring in about $3,000 and change people’s habits for the better, meaning that $300,000 of taxpayers’ money can be spend on something else in future. Why should taxpayers’ money be spent to feed someone else’s dirty habit?